Timothy Johnson and Jinea Ingram are charged with robbing eChaps Computer Store on March 23, 2012, and shooting and killing store owner Reed Keith. LANCASTER – After more than nine months of delays, the man accused of robbing and killing Lancaster business owner Reed Keith and the woman accused of driving the getaway car were finally arraigned Monday. Timothy Johnson, 24, pleaded not guilty to one count of special circumstances murder, two counts of armed robbery, and one count of torture, while Jinea Ingram, 25, pleaded not guilty to one count of murder and two counts of armed robbery. 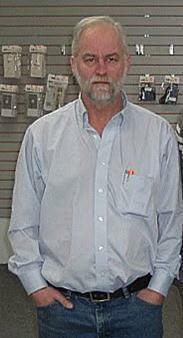 Authorities allege that around 4 p.m. on Friday, March 23, 2012, Johnson entered e-Chaps Computer Store on the corner of Avenue K and 20th Street West with the intent to rob the business. Johnson is accused of shooting store owner Reed Keith multiple times before making off with several electronic devices and Keith’s wallet. The items were later recovered from Johnson’s mother’s home. Authorities believe Johnson’s girlfriend, Ingram, drove the getaway car. 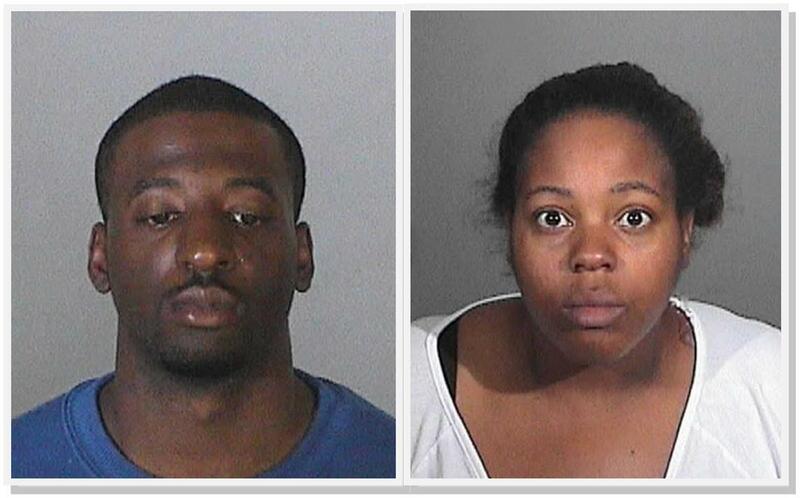 After an extensive manhunt, Johnson was arrested on March 24, 2012 in South Los Angeles. Ingram was arrested three days later. Both were charged with the crimes on March 27, 2012, and are being tried together. Their arraignments were delayed for several months and the criminal proceedings put on hold, as the court decided whether Johnson was mentally competent to stand trial. In late November of 2012, Johnson was deemed fit for trial, and criminal proceedings resumed with an arraignment date set for Jan. 7, 2013. After pleading not guilty to all charges Monday, Johnson and Ingram were ordered back to custody without bail. Johnson and Ingram are due back in court on Jan. 28 for a preliminary hearing, where a judge will decide whether there is enough evidence for the case to go to trial. 22 comments for "Suspects plead not guilty in computer store robbery, killing"
I met mr. Reed when I first moved to lancaster in 2006 in September. Wow this guy was the best you could have ever known as a person and as well as a business man. I knew his brother also I remember when he buried him in 2007. Wow I hope they two ignored as people do life without the possibility. Jow could he plead not guilty when he knows that he took another human being life. And her how could she act like she didnt know what was going on when she drove him there and drove him away from a place he caused a scene to be. I hope they give her 25 years in prison just for being the driver the get away driver. She will claim to be the abused girlfriend supporting him out of fear for her own life… they will allow her to plead out with being an accessory to 2nd degree manslaughter or some such joke of a charge, and get off with somewhere between 3 and 7 years. He will get 25 to life. Just my prediction. We need to reinstate the electric chair, and they need to be mounted in the back of patrol cars. Two great members of society that must have lost their way due to drugs, or negative peer pressure and influence growing up. With California becoming so Liberal, soon we will only want to help these young people that just went down the road of life, versus throwing them in prison for life. OMG a miracle happened. None of their friends or family have gotten on here yet talking about how they were good kids gone bad. Such a shame an outstanding citizen and business owner lost his life to these to worthless scum that shouldn’t be allowed to breathe my air. OMG!! A TROLL fishing for “LIKES”. If only we had retroactive birth control. Those Arabs aren’t so crazy after all…..I say we implement stoning. It is sad that we are a year into this and the trail has not even started. Families and communities wait far to long for justice. Two lowlife bottom feeder pond scum take out a hardworking, decent, productive human being! This case has death penalty written all over it. No “3 hots and a cot” for life at taxpayer’s expence for this pair. May he rot in jail!!! This disgusting embarassment to the human race killed a wonderful man who did much to improve the lives of those he knew. I have absolutely no pity for this turd-face Timothy Johnson and his woman. Could be both really…. Probably is come to think of it. Guilty as Heck, and these two should rot in jail for a very long time.